“I always bet on red.” Recently, Amazon released the first trailer for their upcoming TV show Comrade Detective, The Wrap reports. Set in 1980s Romania, the cop show parody “follows the adventures of detectives Gregor Anghel (voiced by Channing Tatum) and Iosef Baciu (voiced by Joseph Gordon-Levitt) as they comb the streets of Bucharest.” The voice cast also includes Nick Offerman, Jake Johnson, Fred Armisen, Kim Basinger, Mahershala Ali, Bobby Cannavale, Mark Duplass, and Debra Winger. 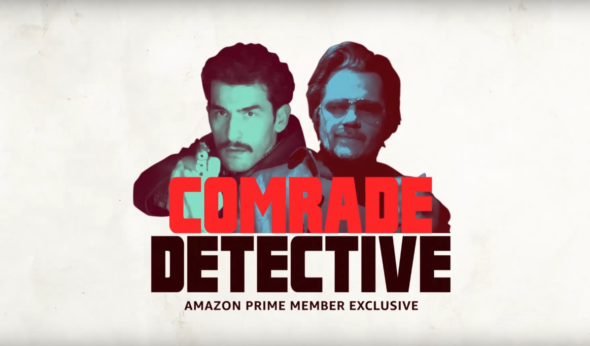 Comrade Detective premieres on Amazon on August 4th. What do you think? Do you subscribe to Amazon Prime? Will you check out Comrade Detective? More about: Amazon TV shows: canceled or renewed?, Comrade Detective, Comrade Detective: canceled or renewed?